Apple has just rolled out a third Candidate Golden Master of OS X 10.10 Yosemite, which will presumably launch late next week when the company holds its special event at Town Hall. At this stage, Apple isn’t adding any major features or changes, rather refining the software ready for the end user, so while developers can now go ahead and pick up Yosemite GM 3, there won’t be any drastic alterations therein. Apple’s first Golden Master appeared at the end of last month, and only two days ago, the second GM rolled out alongside a fifth Public Beta for those subbed to Apple’s OS X Beta Seed Program. 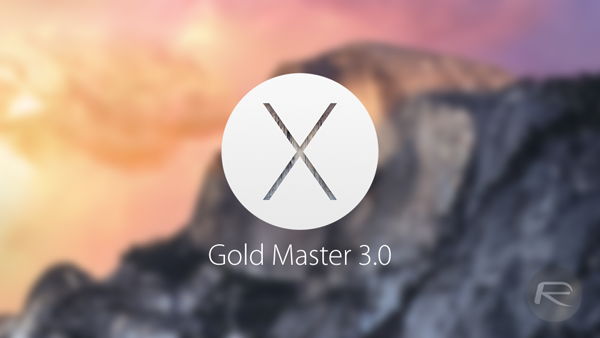 Given that Mavericks saw two GMs before finally being deemed ready for prime time, the appearance of a second GM wasn’t too surprising, and even though this third issue now means that we’ve seen more Golden Masters than we’re typically accustomed to, there’s nothing to suggest that we won’t see another one or two before Yosemite hits the Mac App Store if necessary. First announced back at the Worldwide Developers’ Conference back in June, OS X Yosemite includes a number of key alterations. The most obvious adjustment is to the user interface, which has been flattened out and, like iOS 7 before it, paid heed to skeuomorphism. The refreshed aesthetic isn’t quite as severe as we saw with Apple’s mobile software this time last year, but nonetheless, looks much cleaner. 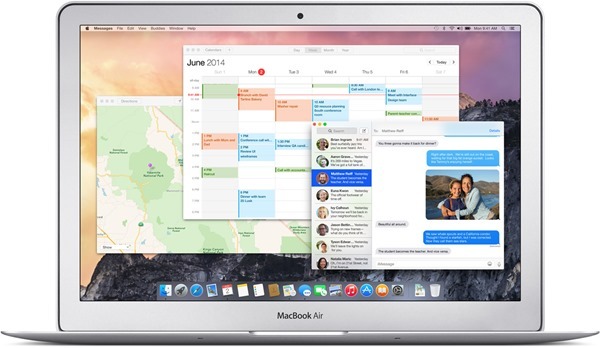 OS X Yosemite is not just a lick of paint, though. Continuity will see the Mac software strengthen its ties with iOS, allowing users to flit between Apple devices with very little interruption to workflow or productivity, while the enhancements made to the Notification Center will finally make proper use of a feature first introduced back in 2012 with OS X Mountain Lion. Apple’s Town Hall event has been confirmed for October 16th, so if you’re not a developer or haven’t indulged in the Beta Seed program, you mightn’t have long to wait before you can install Yosemite on your Mac. There are no guarantees that it will arrive on said date, but the emergence of the third GM is a tell-tale sign that we’re not far off it now. Mac OS X + What? Which function is typically for Win from OS X ? Well it brings a lot of the flat aesthetic if that kind of thing matters to you. Really buggy! Usually by this time its pretty polished. But a lot of bugs, espectually when it comes to keyboard shortcuts.